Due to the increasing demand for “clean” energy hydro power will be even more important in the future. Therefore, it is necessary to optimise all components used in hydro power plants. 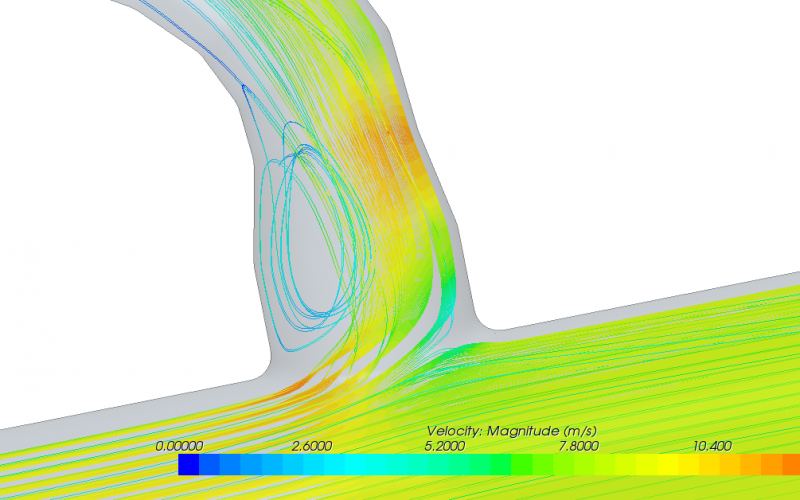 The objective of the following example was to reduce pressure losses in a flow split compared to the original design. In parallel the strength of the parts had to remain constant. The pictures show the analysis of the original design, where a significant recirculation zone can be seen. The first picture shows the vectors of the flow field the second one shows the streamlines.